plans for the tea expo in action. Jacob Sanders is a deputy sheriff in Emerald Springs, and part of the Split Acres Farms. He loves his job as a deputy and he is really not interested in the family farm. That is until weird things start happening on both Split Acres and Emerald Tea. Things that not only put the workers’ lives in danger, but that have also caused problems for the farms themselves. Now he is close to discovering who is responsible for all the problems that have been going on. But let’s get one thing straight, Jacob and Ashley can’t really stand each other, or at least that’s what they think. Until one day when Ashley plans a spa day with a friend and possible lover at Daniel’s hotel. Jacob was really tired after a long day, and as a favor to Daniel uses the mudroom to try and relax and see what he thinks about it. Too bad that her description of the person she is meeting matches Jacob way better than her friend. Which is how Ashley believing Jacob is someone else starts massaging and rubbing him, until her date arrives and walks in on them. Let’s just say that things get really interesting after that. The way that Jacob and Ashley always saw each other no longer applies. They have now seen each other, covered in mud but in their underwear, which is bringing their relationship to a whole new level. 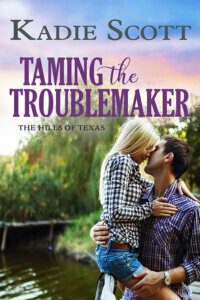 When the tea store where Ashley mainly works gets vandalized, things get more complicated. Now they know that the person attacking them may actually cause one of them harm and with Ashley about to leave for the expo she will need more protection. Then there are some suspicions that Jacob has about who may be behind everything. Until he has proof he needs to stick close to her and keep her safe. So her family agrees to send him along to the expo as her bodyguard for her safety. Making their already sticky relationship more complicated, for having just a wall between them may not keep away the temptation that has been growing. 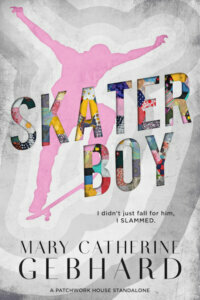 All I can say is that you have to read this series. All of them have been great, each one having many challenges and projects to surpass. But Ashley is the best, for everyone thinks of her as the princess and high maintenance, while she is actually hard working as has the most to prove that she deserves to be in the family business as she only works for them. Then with her father being resentful of not getting the reins of the business when his brother retired instead of Adam, it makes things a little more complicated. Then there is the fact that Ashley and Jacob have done everything to annoy each other in the past. But now with the attraction simmering under the surface, things can get really hot really fast. And I have to say how much I loved that Jacob while trying to annoy her, he was always a sweetheart when it really mattered. I hope you like Ashley’s Allegiance by Robyn Neeley as much as I did. 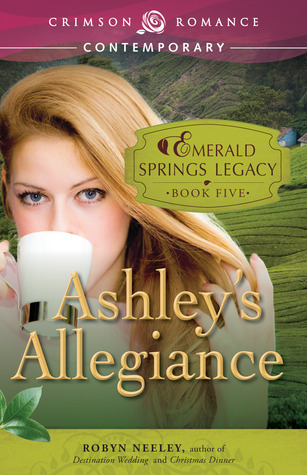 Meet Ashley, the fifth of five unforgettable characters in the Emerald Springs Legacy. The last six months have been nothing short of exciting for the Whitmans and Sanders. Adam, Chad and Daniel Whitman have all begun to carve out their niche in the family dynasty. Now it’s Ashley Whitman’s turn. She’s ready to step up with her marketing ideas, talent, and drive to prove she has just as much to contribute to the family tea legacy as her successful cousins. Deputy sheriff Jacob Sanders is closing in on who is responsible for the suspicious activities plaguing Emerald Springs Farm and Split Acres. When a questionable encounter outside the local bar forces him to tag along to San Diego and play bodyguard to Ashley Whitman, any other man would jump at the chance to be in close quarters with the beautiful, blonde Whitman. Too bad they hate each other. Forced to spend time together, they discover their mutual dislike might be something else entirely. But can a Whitman and Sanders really be happy together?